Home / sponsored / Anime Convention Invades Colorado in April! 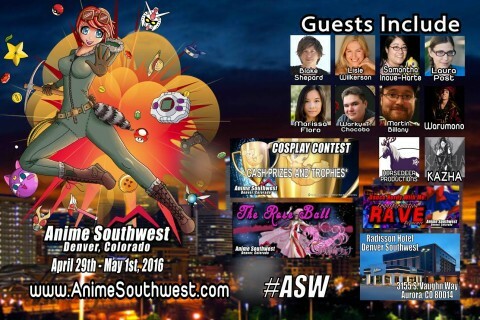 Anime Convention Invades Colorado in April! Sukoshi Con, the Social Anime Convention is bringing their unique take on Anime Conventions to Colorado on April 29 – May 1, 2016. You can expect favorites like Panels, Guests, Gaming, Contests, Tournaments, Screenings, Dances, and late-night events with a lean towards engaging attendees with a interactive and social vibe. Be sure to check out the Aritst Alley and Vendors room too. Over 30 vendors! !